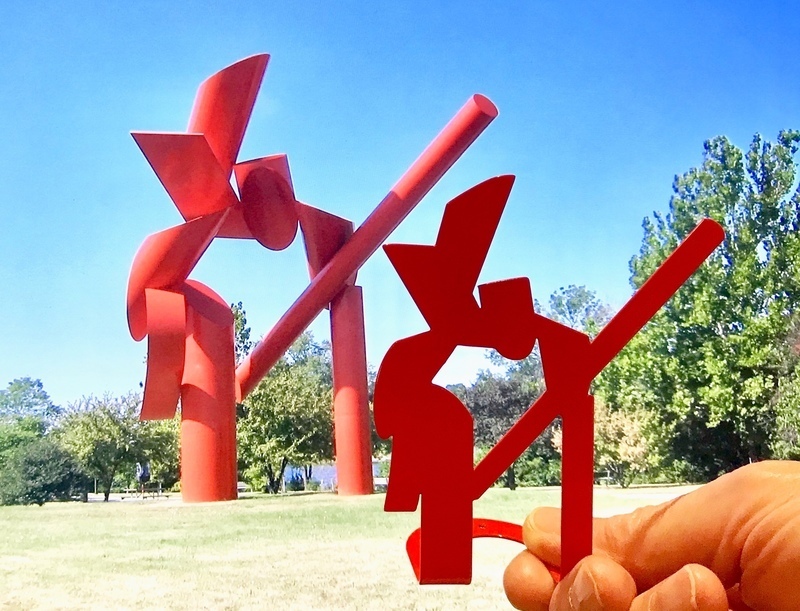 This year, “Symbol,” Rockford’s iconic grand sculpture by Alexander Liberman, turns 40! To celebrate, J.R. Kortman brings back the miniature “Symbol” souvenirs…available in two sizes. They’re not only cool mementos of our city, but also function as bookends, objet d’art, or a charming votive stand. And best of all, like “Symbol” itself, made in Rockford, Illinois USA!